The year long centenary programme of Government Ananda Mohan College started with a colourful rally from the college campus on January 1, 2008. The college principal Prof. Md. Shafi Uddin inaugurated the rally amidst clapping of hands and releasing of balloons. It was a joyous moment for the residents of Mymensingh town, where the college is located. The great educational institute was established in 1908. A 201-member committee has been formed to organize the programs marking the occasion with principal of the college, former principal A.M.M Shamsur Rahman and former student leader Kazi Azad Jahan Shamim as the chairman, co-chairman and member secretary respectively of the committee. The year long programmes include discussions on the history of this college, publication of a souvenir, centenary procession, sports competition, holding of dramas and other cultural functions and awarding prizes for brilliant results of the students. All the present students will be included in the programmes. At a meeting, sub-committees were formed to hold the programmes throughout the year. The registration of AM College Alumni will start this month. Registration centers will be opened at every district headquarters to cover the students who are willing to attend the function through registration. A control room has been setup at the college library in this regard. Ananda Mohan Bose, very prominent nationalist leader of this Sub-Continent established City Collegiate School in 1883 in Mymensingh town. Ananda Mohan Bose was born on September 23 in 1847 at village Joysiddhi in Itna Upazila in Kishoreganj, a Sub-Division of the then Mymensingh district. Ananda Mohan Bose, son of a land lord family passed his entrance (now SSC) from Mymensingh Zila School and Stood ninth in the merit list in 1862. He did his FA (Now HSC) and BA from the Presidency College in Calcutta securing first position in both examinations. And for this outstanding results, he obtained Premchand Roy scholarship in 1870. He was also awarded Wrangler by the Cambridge University for his outstanding performance in Mathematics. 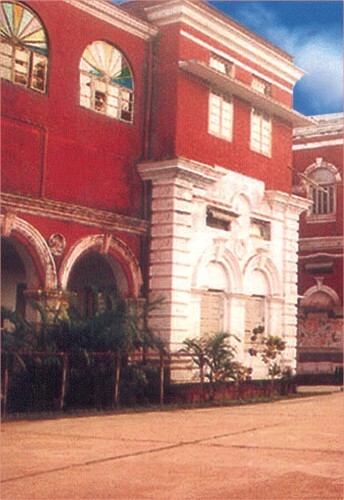 Ananda Mohan Bose first established a college named City College in Calcutta in 1878 and decided to open a branch of this City College at his home town in Mymensingh. 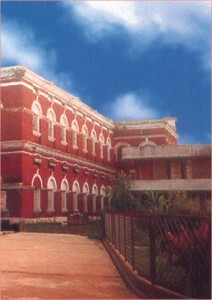 Finally the educational institute was established at the residence of Ananda Mohan in 1883 as City Collegiate School. Later the college section of the institution was shifted to College Road in 1908 as a College and it was named after him. Maulavi Hamid Uddin Ahmed, the first Muslim graduate of Mymensingh, also one of the classmates of Ananda Mohan Bose donated the land to establish the college. Another renowned lawyer of the town, Raibahadur Shaymacharan Roy also played a pioneer role in establishing the college. The college was nationalized in 1964. Now some 20 thousand students study in this college. The college has the facility to study honours and masters in 18 subjects.